This biography of Henry Wadsworth Longfellow for children was excerpted from Mary Stoyell Stimpson's book, A Child's Book of American Biography (1915). Add over one hundred years to Ms. Stimpson's time reference when you read it with your own children. When Henry Wadsworth Longfellow, the poet, was a boy, he lived in Portland, Maine. In those days Portland did much trading with the West Indies, and Henry and his boy friends liked to stay down at the wharves when the Portland vessels came in. It was sport to watch the burly negroes unload the hogsheads of molasses, the barrels of sugar, and the spices. The boys used to wish they were sailors or captains, so that they could sail across the water and perhaps have great adventures. Henry also thought it would suit him to be a soldier, and when he was five years old, and there was much talk about the great war which is called the War of 1812, he sent a letter to his father, who happened to be away at the time, that he had a toy gun already, and if his father would please buy him a drum, he would start right off for the battle-field. Probably he was not as warlike as he fancied he was, for one Fourth of July just after that, he jumped every time a cannon went off and begged his mother to stuff his ears with cotton, so that he would not hear the banging. Henry liked music and books far better than fighting. He read a great deal with his mother, and they took long walks together, for they both loved flowers and birds. Twice every Sunday Henry went to church with his mother. In the cold weather he carried her foot-stove for her (a funny little box which held coals) and in the summer her nosegay, because she never went to service, after the flowers began to bloom, without a bunch of sweet smelling blossoms. This odd foot-warmer can be seen any time in the old Wadsworth-Longfellow house in Portland. Visitors from all over the world, even from India and Turkey, have wandered through this home of the poet to look at the desk at which he wrote, the rich mahogany chairs, and the old-fashioned mirrors. Henry was willing to do errands or any tasks that his mother wished him to do. He did not mind even driving the cow to pasture, for as he walked along, he was usually making up rhymes. And although he had very good lessons in school, he often scribbled little jingles in his copy book. When he was thirteen, he told his sister that he was going to send a poem to the Portland newspaper. He did not tell any one but her, and he only signed "Henry" at the end of the poem, so although the editor printed it, the other school children did not find out for a long time that it was his. Henry and his sister read the printed verses until they wore the newspaper to shreds and felt they had a lovely secret. After Henry graduated from college, his father wanted him to be a lawyer, like himself, but Henry was sure he wanted to be an author. He said: "Don't ask me to study law, father; I think I can write books. Anyway, if you will let me have my way, I will promise to be famous at something." So his parents let him travel through Europe, and when he sent long, happy letters home, telling about the different things he saw, they were so charming that all the neighbors wanted to borrow the letters, and Mr. and Mrs. Longfellow agreed that Henry would probably be famous with his pen. When Henry came home again, he was chosen for a college professor. He was only twenty-two, and it began to look as if the Portland boy would be a success even if he did not study law. The students at Harvard College loved young Professor Longfellow. He was so handsome, so lively, so exquisitely neat in dress, that they were very proud to introduce him to their parents, and best of all, he made their lessons so interesting that they were actually sorry when the class was dismissed. He proved a fine teacher. But, besides teaching in the college, Henry wrote poem after poem. It was not long before his verses were liked in other countries as well as in America. French people began to say: "Why, we want our children to know Henry Wadsworth Longfellow's poems!" And Spanish ladies and Italian noblemen declared they were beautiful. Finally so many countries were asking for these poems they were translated into fifteen languages. Longfellow was soon called "The Poet of Every Land." You will think that was the right name for him, when you hear what happened on a big ocean steamer. Once a large party of travelers were sailing from Greece to France. As they sat talking one evening, somebody praised the great French poet, Victor Hugo. A lovely Russian lady spoke up: "Victor Hugo is fine, but no poet is so well known as the American Longfellow. I want to go to Boston to see the Bridge about which he wrote." Then she repeated every word of "I stood on the Bridge at Midnight." Upon that, an English captain just back from the Zulu war, recited a Longfellow poem. A gray-haired Scotchman said another, an American remembered one, a Greek sang some verses of Longfellow's that had been set to music, and when the French captain of the steamer declaimed "Excelsior", there was great handclapping, and it showed that Henry Longfellow was indeed a favorite poet. Henry Longfellow liked Cambridge. He boarded in a fine old place, Craigie House, where General George Washington had once stayed. And when he was married to a Boston girl, her father gave them Craigie House for a wedding present. Longfellow was so happy as the years went on, that he wrote better than ever. You will like his "Hiawatha", which tells about the Indians, his "Evangeline", and the story of Myles Standish. Do not forget to read "The Children's Hour." Longfellow was never too busy to play with his children and saw to it that they were kept happy. Once when he took the three girls to England, Charles Dickens, the great English writer, asked them to visit at his grand place, Gads Hill. He sent a wonderful coach, all glittering with gold trimmings and driven by men in scarlet livery, to the station for them, and had a Swiss chalet in his garden for them to use as a playhouse. Many great people gave them dinners and parties. But what pleased them most of all was the respect shown their father. One of the daughters still lives in Craigie House, which is often visited by people who love Longfellow's poems and who wish to see the rooms in which he lived. Longfellow could sell his verses as fast as he wrote them. A New York editor once paid Longfellow three thousand dollars for one short poem. And imagine how proud his wife and children must have been to overhear people saying: "I wonder if Mr. Longfellow has written anything lately. If he has, I must read it!" Imagine how happy it made his father that he had kept his word: "If you will let me have my way, I will promise to be famous in something." And surely all the Americans who were on that steamer and heard the Russian, the Greek, and other foreigners reciting Longfellow's poems must have been proud that a man from their own country had won the name of "The Poet of Every Land." 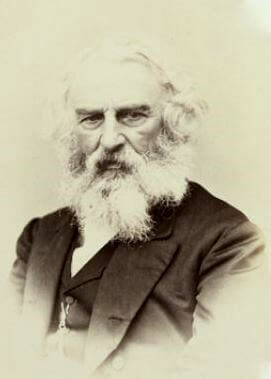 Henry Wadsworth Longfellow's story is featured in our collection, American Biographies for Kids. Visit American History to find out about other important people and their writings which helped shape the country. Add Henry Wadsworth Longfellow: A Child's Biography to your own personal library.